Now that we’ve talked about having the best of both worlds when it comes to Jumbo rates, let’s discuss some other questions people have about Jumbo loans. A: Any loan amount over $417,000. Q: How large can Jumbo loans get? A: There really isn’t a limit, but our office focuses on loan amounts up to $2,000,000. Q: How much money do I need for a down payment? A: You can apply for a Jumbo loan with as little as 10% down. The rate is higher, so ideally you’d want to make at least a 20% down payment. Q: Are the closing costs higher for Jumbo loans? A: The short answer is yes. The longer answer is this… while Jumbo loans, VA loans, FHA loans, and Conventional loans have some of the same fees associated with the loan program, some of these fees are based on the loan amount such as title insurance, discount points, and in the state of Georgia, the transfer taxes. For example, one transfer tax is 0.001% of the purchase price. That means on a Jumbo purchase of $1,000,000, the fee is $1,000. If it is a conventional loan purchase of $400,000, then the fee is $400. If an FHA purchase of $225,000, then the fee is $225. So while the fees are essentially the same name, some are just much higher than others due to the purchase price/loan amount differences. Q: Are Jumbo loans harder to qualify for if you are self-employed? A: No, they are not. The same basic documentation is needed for the loan application. The main parts of underwriting are to ensure the income is stable for all borrowers. This is just looked at more closely for self-employed borrowers, but not any different than applying for a conventional loan. Q: Are reserves needed for Jumbo loans? Q: Ok then, how much reserves are needed? A: It depends on the loan program. Some require 6 months on the subject property. Others require 12 months. Some even require 6 months on all properties owned. The key is asking your Loan Officer the specifics of the reserve requirements up front so there are no surprises later in the loan process. Q: Can the reserves be from retirement or other non-liquid accounts? A: Yes, retirement and other asset accounts can be used. That said, some Jumbo loan programs limit the amount of reserves that can be used from those accounts. Again, ask your Loan Officer for these details. Looking to buy a home that will require a Jumbo loan? Buying in the state of Georgia? If yes, I can help you get started. Contact me today and we’ll discuss these questions and more. For those out there looking to buy a home with a Jumbo loan, which is a loan amount over $417,000, there are a couple of broad options. Go with great customer service, but maybe a higher interest rate. Use one of the big banks who, at times, “discount” the Jumbo interest rate if also opening a checking account at their institution. The larger banks do this sometimes with their Jumbo loan rates as a “loss leader”…. 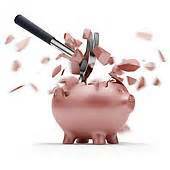 discount the rate to secure a financial relationship with other investment accounts. their Jumbo rates are some of the best in the market, and there is a way to make them even lower. if you open a checking account and agree for the mortgage to be paid via auto draft from that checking account, the interest rate is lowered an additional 0.250% in rate. you get to work directly with a smaller licensed lender at Dunwoody Mortgage Services. I would be your direct contact from start to finish. You would never have to phone a call center or be placed on hold waiting to speak to someone. Looking to buy a home and needing a Jumbo loan? Wanting to avoid call centers and being on hold to get updates on your loan? If you are buying in the state of Georgia, contact me today. I can help you get started toward your home ownership. In the last post, I commented on a situation where a retiree with over half a million dollars in a brokerage account could not count his $4,000 monthly withdrawals from that account as “income” for a mortgage qualification. So here’s what he can do with his current assets….I represent an investor who will do a “declining asset” loan for this retiree. (Not all lenders will do this type of loan.) We start with his account balance and multiply by 70%. This is to adjust the balance for potential stock and bond market fluctuations. That gets him to $350,000. Then to fit this amount into a 10 year monthly income forecast – I divide by 120 months. That yields about $2,915 per month in available income. And that is all the “income” I can use based on his assets. We at Dunwoody Mortgage are trained to ask important questions up front. By digging in just a little bit, we might discover potential underwriting road blocks early in the process. Then we can either determine a way to work through the road blocks or stop the process early, before the buyer and the Realtor waste a lot of time and the buyer’s money (for home inspections, appraisals, etc.) on starting the home purchase process when they cannot win underwriting approval. His Realtor was very appreciative that I helped him avoid wasting a lot of time searching for houses that this retiree could not afford. If you know a retiree who is thinking about buying a home in Georgia, tell them to carefully consider how their assets are allocated and how they receive their income. Not all assets and income are treated equally. Have them call or email me at Dunwoody Mortgage Service. We will discuss their options and we can even help them coordinate with their financial planner if necessary. I can help them structure the deal right the first time – without wasting their time on homes that they cannot buy using their current asset accounts. I’ve been talking this week with Don (not his real name), a retiree from the Northeast who wants to move to Atlanta to be closer to family. Don has over $500,000 in an investment account and takes out $4,000 every month for living expenses. Don has found a house that he really likes, but his allowable income will not support the mortgage payments. I may have to recommend that he buy the house with cash. If you know a retiree who is thinking about buying a home in Georgia, tell them to carefully consider how their assets are allocated and how they receive their income. Not all assets and income are treated equally. Have them call or email me at Dunwoody Mortgage Service. 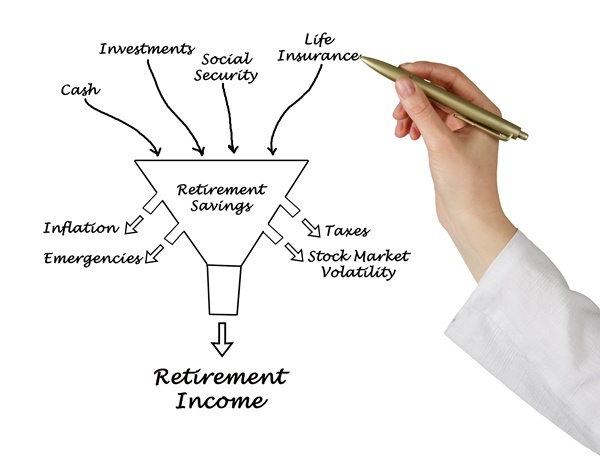 We will discuss their options and we can even help them coordinate with their financial planner. I can help them structure the deal right the first time – without wasting their time on homes that they cannot buy with using current asset accounts. The VA program for jumbo loans is excellent. A quick definition here – a jumbo loan in Georgia is defined as a loan with a principal amount of more than $417,000. The first benefit is that you can get a VA jumbo loan with a lower down payment than a conventional jumbo loan. The minimum down payment for a conventional jumbo is 10% of the total loan amount. The minimum down payment for a VA jumbo is 5% of only the amount above the jumbo threshold of $417,000. So if your veteran friend David wants to buy a house priced at $517,000, his minimum down payment options are (1) $51,700 for a conventional loan or (2) only $5,000 for a VA loan. And veterans like David can get a VA jumbo loan with a credit score as low as 680. Our minimum credit score for a conventional jumbo is 720. Lastly, David can get a much lower interest rate on a VA jumbo – perhaps even ¾% lower than with a conventional loan. Interest rates on VA jumbo loans are comparable to conventional non-jumbo mortgage rates. So David will save a lot of money every month by obtaining a VA jumbo loan. Note that VA jumbo loans still require paying the VA funding fee. But even with the fee, VA jumbo mortgages are a great product – they make buying a house more affordable than most other jumbo loan alternatives. If you are a veteran or if you know a veteran friend or family-member who wants to buy a high-priced home in Georgia, call or email me at Dunwoody Mortgage Services. We can discuss loan options and help you obtain all the great VA loan benefits you have earned with your service. We love serving military veterans. Delivering great loans with excellent service is a small way that we can say “thank you” to those who have served. If you have friends or family who are military veterans, it’s a great time to buy a house – from a mortgage perspective. We have already reviewed how veterans can obtain loans with a low, or even no, down payment. To make things better, interest rates are near their historic lows and VA rates are some of the best around. Let’s do a quick comparison of a VA loan vs. a conventional loan. A hypothetical situation here – Phil Soldier is an Army veteran. He has an average credit score of 690 and plans to make a 10% down payment. He can apply for a VA loan and obtain an interest rate of about ½% to ¾% lower than his rate for a similar conventional loan. In addition to his lower interest rate, Phil does not have to pay a monthly mortgage insurance premium. On a loan of around $250,000, Phil could easily save $150 more on his monthly payments. Making a low down payment and having lower monthly payments sounds great to me! What do you think? We will take a look at VA jumbo loans in the next blog post. VA mortgages are a great product – they make buying a house more affordable than any other program out there. If you are a veteran or if you know a veteran friend or family member who wants to buy a home in Georgia, call or email me at Dunwoody Mortgage Service. We will discuss loan options and help you obtain all the great VA loan benefits you have earned with your service. We love serving military veterans. Delivering great loans with excellent service is a small way that we can say “thank you” to those who have served. Military veterans who want to buy a home don’t have to spend years scraping together a down payment. That helps make home ownership possible for scores of veterans and military families who might otherwise not buy a home. Veterans can actually get loans with no down payment. All the veteran must do is pay a Funding Fee – and that fee can be rolled into the loan balance. So a veteran with very little cash can still get a mortgage. The Funding Fee is based on the type of service and whether the veteran has obtained a VA loan before. For first time use, a regular military veteran will pay 2.15% for a zero down loan. For the same loan, a reserves or national guard veteran would pay a 2.4% funding fee. For veterans who have previously had a VA loan, the funding fee is 3.3% for both service levels. Veterans can opt to pay a larger down payment to lower their funding fee amounts. That is a great deal for veterans with a good job but not a lot of cash. They don’t have to wait months or even years to scrape together a down payment. In future blog posts, we will review other great aspects of the VA loan program. For now, if you are a veteran or if you know a veteran friend or family member who wants to buy a home in Georgia, call or email me at Dunwoody Mortgage Service. We will discuss loan options and help you obtain all the great VA loan benefits you have earned with your service. We love serving military veterans. Delivering great loans with excellent service is a small way that we can say “thank you” to those who have served. Realtor.com recently reported that the VA loan program closed more mortgages in 2015 than any year in the program’s history. The VA guaranteed about 631,000 loans for veterans last year, breaking the record set two years before. Recently released figures show that VA loan volume surged 19% year over year. For perspective, the VA guaranteed more home purchase loans in 2015 than total loans (purchases plus refinances) in fiscal year 2010. And the outlook for the VA loan program is bright too. A recent Deutsche Bank analysis reported that the population of younger veterans will rise about 36% over the next 5 years. These young veterans will be in prime household-formation and home-buying years. Experts have called VA loans “the most powerful residential loan product on the market.” And in this time of slow wage growth and a tight housing market, more and more veterans are using these loans as their go-to financing source. In future blog posts, we will review each of these great benefits in detail. For now, if you are a veteran or if you know a veteran friend or family member who wants to buy a home soon, call or email me at Dunwoody Mortgage Services. We will discuss your loan options with you and help you obtain all the great VA loan benefits you have earned with your service. We love serving American veterans. And we sincerely appreciate your service and sacrifice.